Hello! 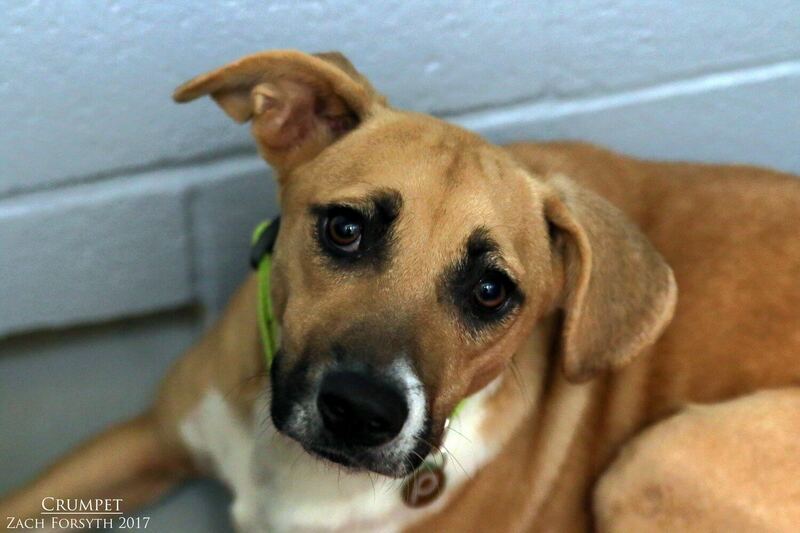 I’m Little Miss Crumpet and I am a sweet 1 year old Black Mouth Cur mix weighing in at 38lbs. I am such a super nice and lovely lady. Being a rural girl, this city is all new to me and I would prefer to stick to my Southern roots in an owned home out of the city with kids over 12. But I absolutely LOVE playing with other doggy friends. So much so that I need to have another confident puppy companion in the home to romp around with and go show me the ropes! Kitties are ok too. I am such a cuddly girl and after a long day of play and activity, I would really enjoy to get comfy on the couch and settle in for the night–under those warm blankets of course! I do need an experienced owner who can teach me some of the basics, but I am ready and willing to learn! 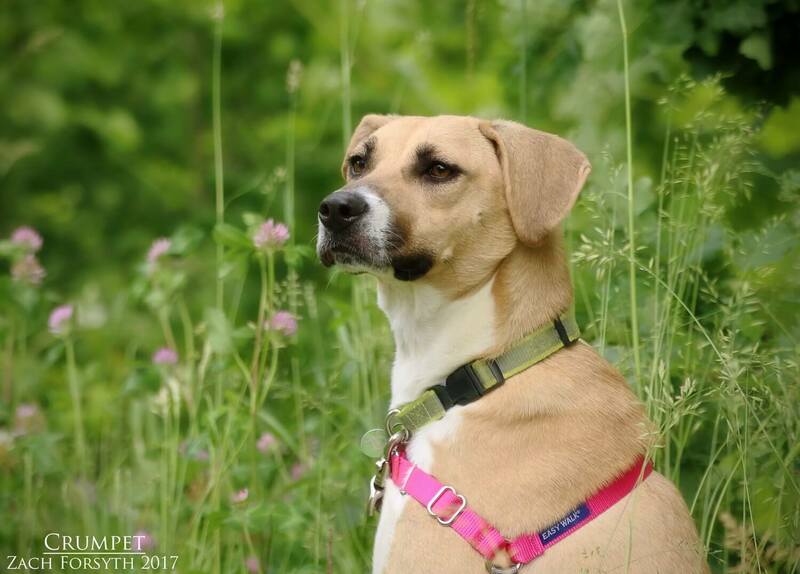 Though I can be a little shy at first, with patience and a few treats, you will see my wonderful personality and my readiness to bond to my people! What do you say?! Want a little Crumpet to go with your daily tea? Then fill out an application and we can set up a meet! I come to you spayed, vaccinated, and micro-chipped with an adoption fee of $300.